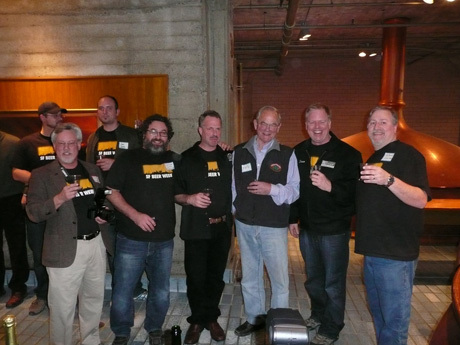 Today is the 58th birthday of Ron Silberstein, the founder, and original brewer, of Thirsty Bear Brewing in San Francisco. 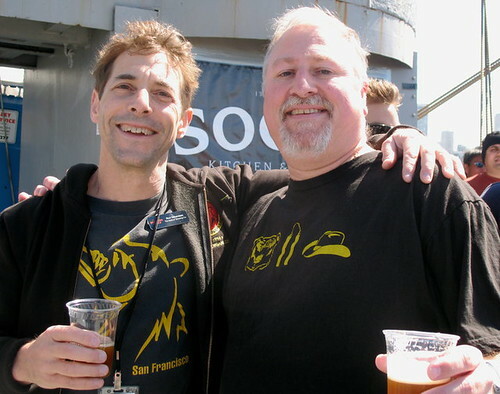 I’ve known Ron for a number of years but got to know him better working on SF Beer Week the first few years when we working to get it going. 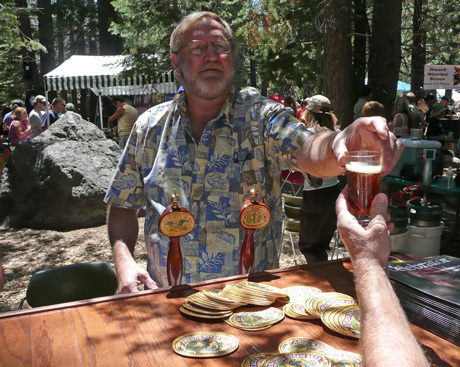 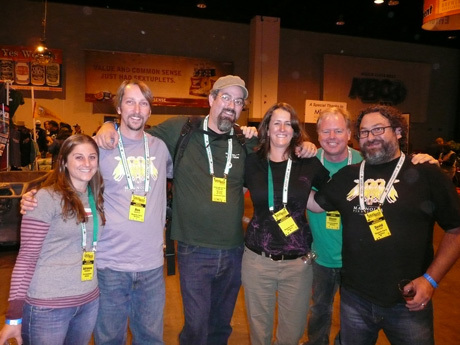 We also spent a weekend together at Sierra Nevada’s Beer Camp, which was an awesome experience for everybody who attended. 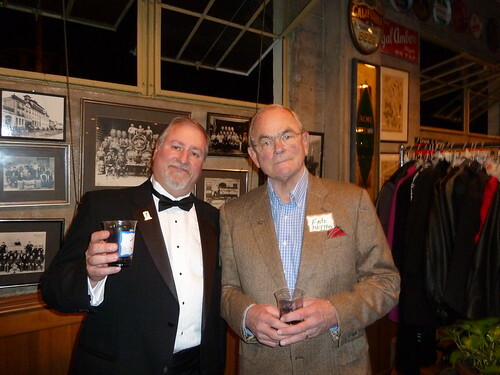 Join me in wishing Ron a very happy birthday. 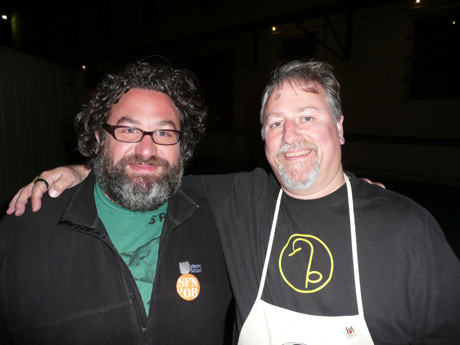 Ron and Beer Camp head brewer Scott Jennings. 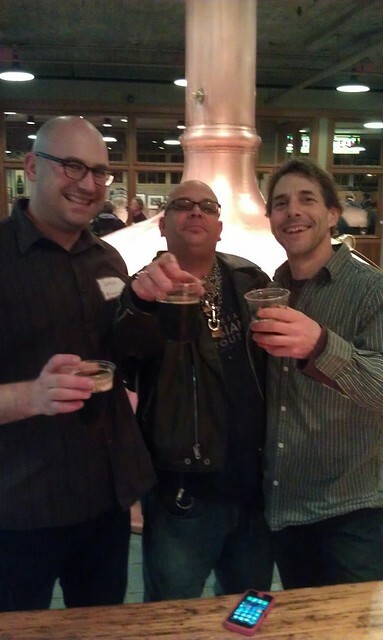 Jesse Friedman and Fraggle with Ron at the Anchor Holiday Party in 2012. 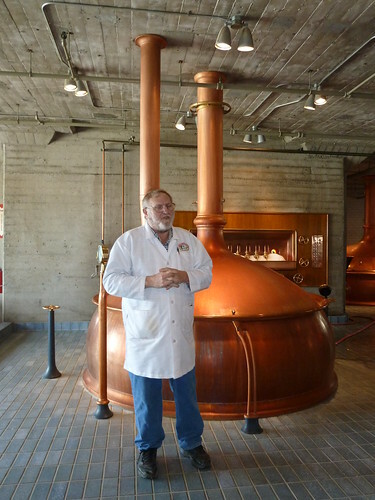 Today is also the 51st birthday of John Tucci, who I first met when he was the brewmaster for the San Francisco Gordon Biersch brewpub. 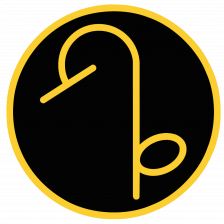 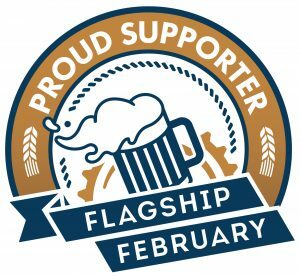 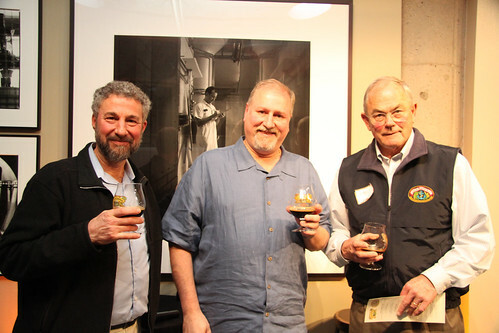 John was one of Gordon Biersch’s best and most senior brewers, and especially with his one-offs that he brewed at that now-defunct location. 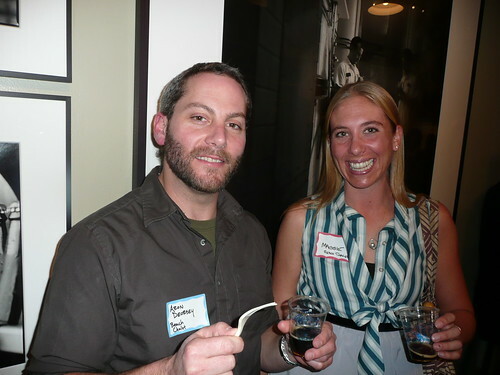 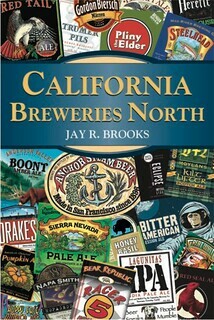 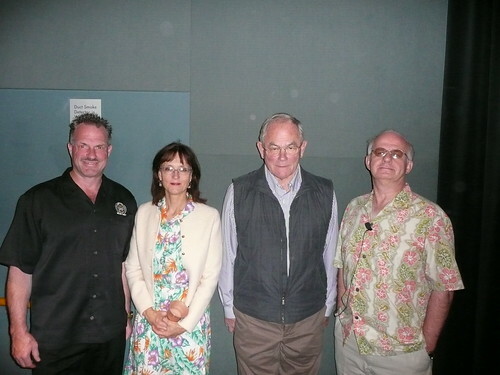 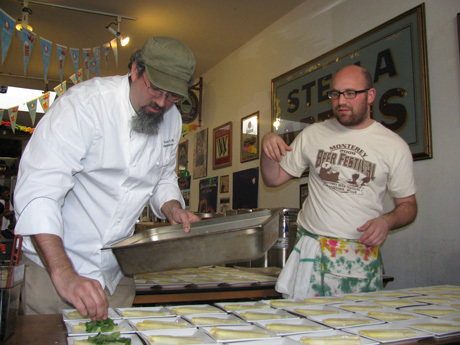 He’s also a great champion for beer in San Francisco and was very active with the local brewers guild and SF Beer Week. 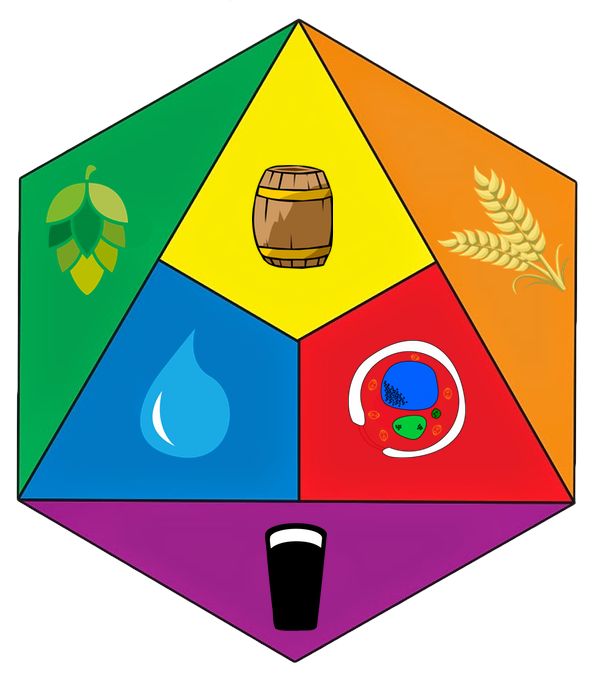 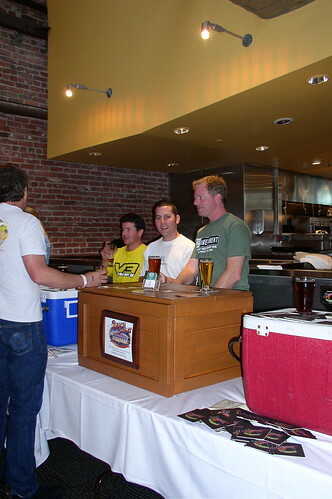 When the San Francisco location closed, he brewed at their Palo Alto brewpub, but after 16 years, left and has opened his own brewery, 47 Hills Brewing, which is located at 137 South Linden Avenue in South San Francisco. 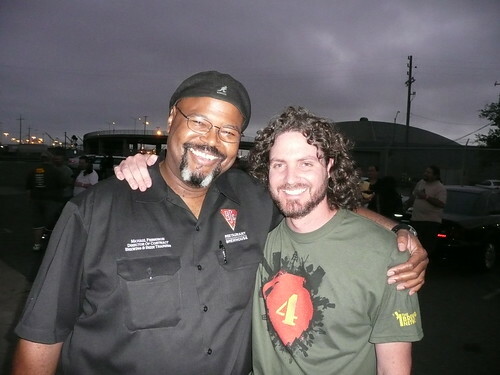 Join me in wishing John a very happy birthday. 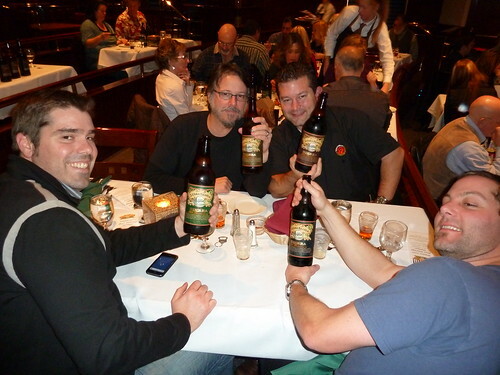 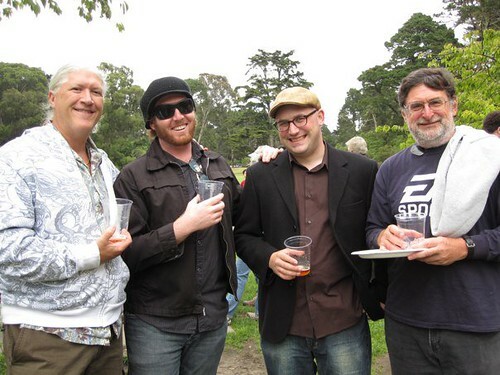 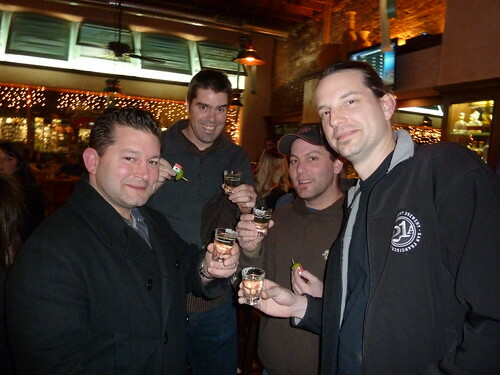 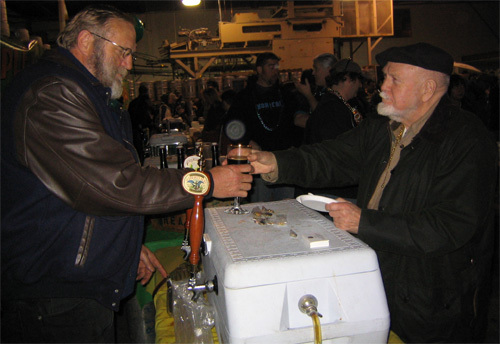 At the Slow Beer Festival 2008, Ian Marks (from Hog Island Oyster Co.), Taylor Boetticher (from the Fatted Calf), Dave, John and Shaun O’Sullivan (from 21st Amendment). 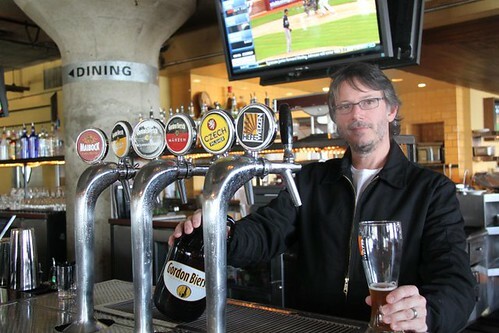 John when I visited him last year at the Palo Alto Gordon Biersch. 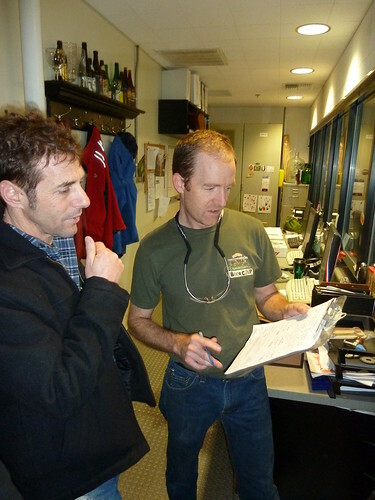 Taking delivery of new brewing equipment at 47 Hills. 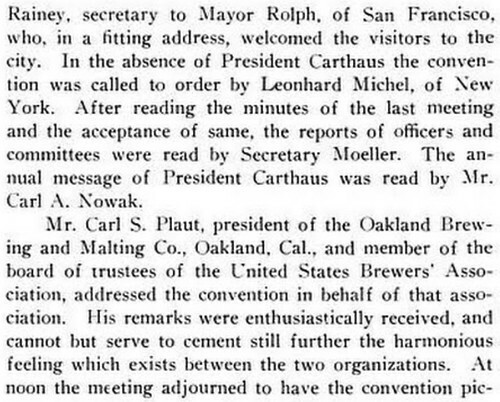 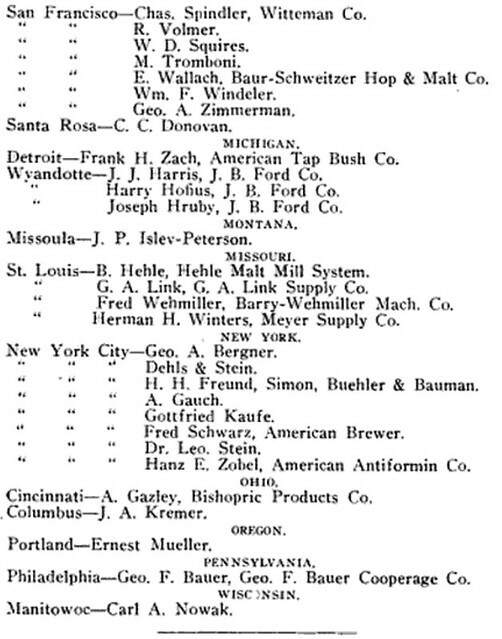 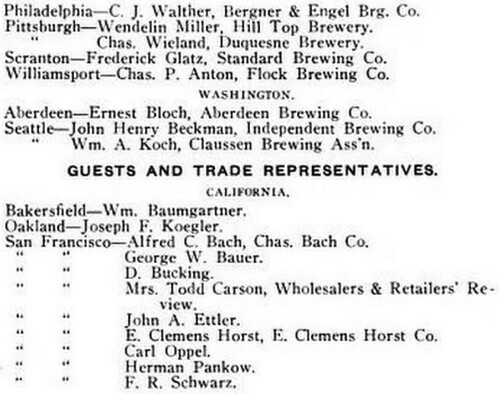 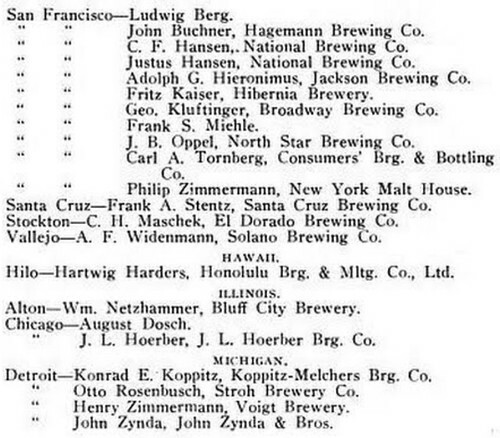 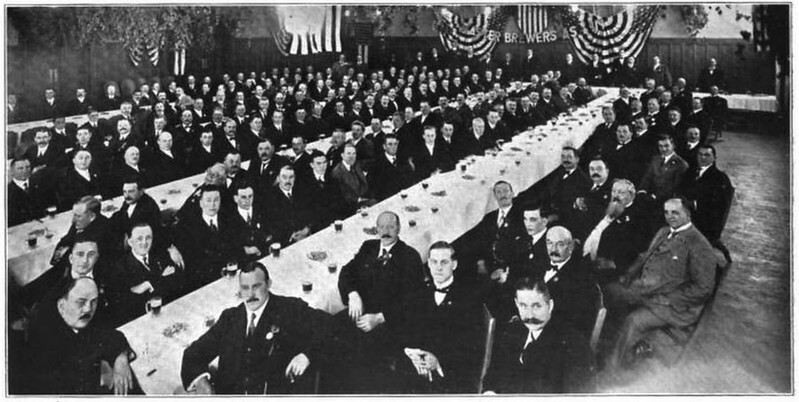 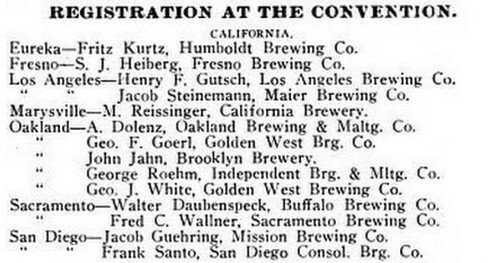 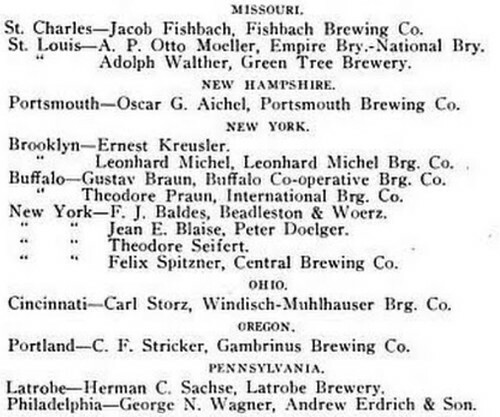 Yesterday I shared what I thought was an interesting story and photos of the Master Brewers’ Convention, from 1915, which began on September 30. 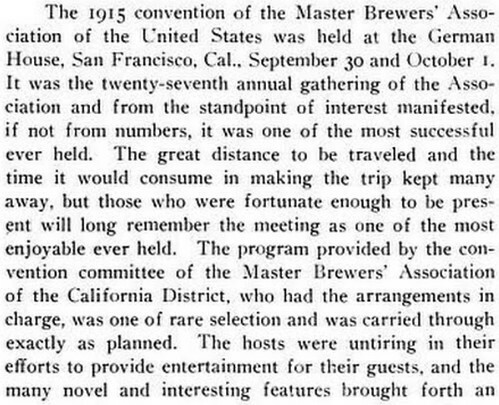 It was held in San Francisco, California. 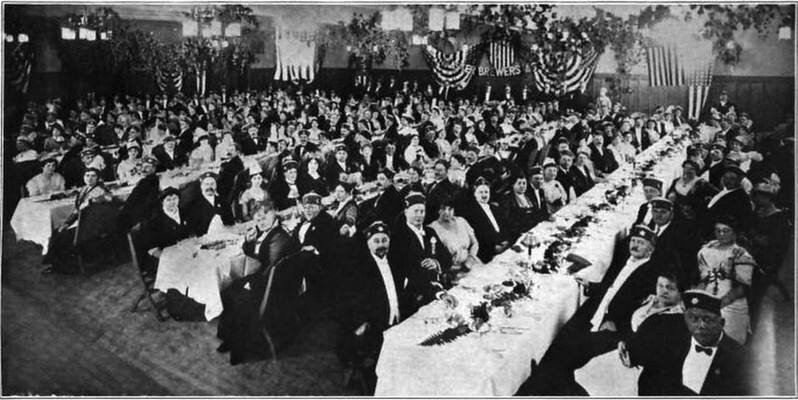 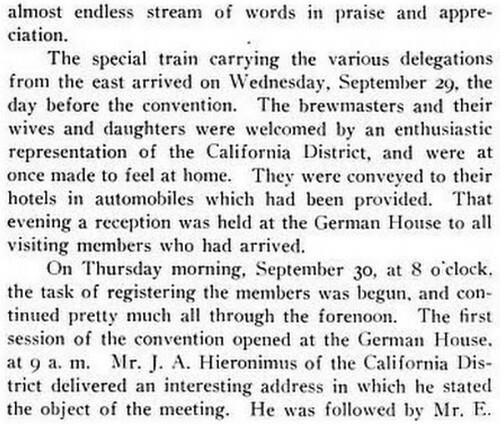 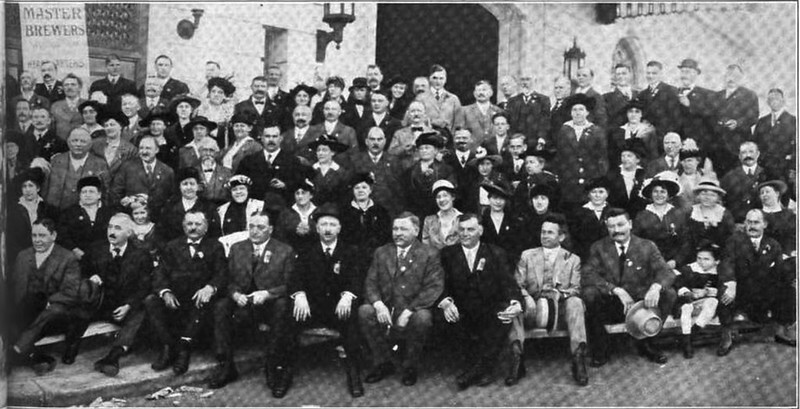 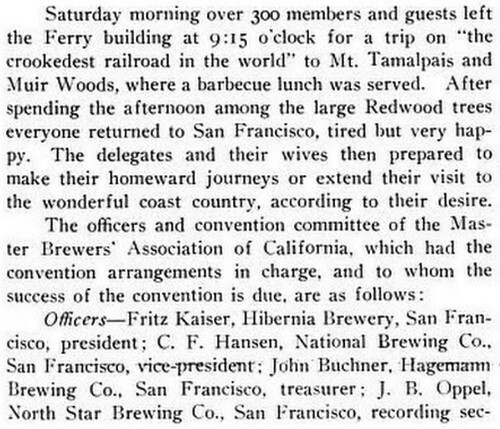 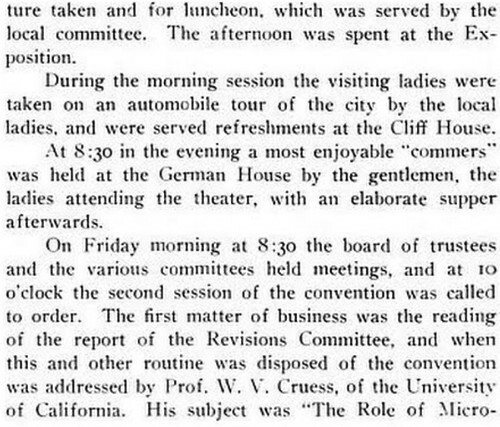 On the second day of the two-day convention, October 1, 1915, they also held a formal banquet for all of the attendees and guests. 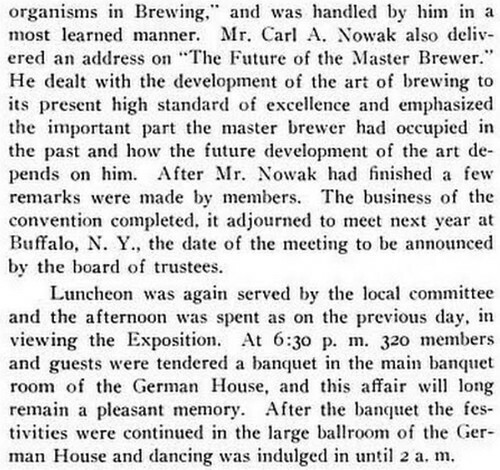 It was held at German House, in the same space where the convention took place. 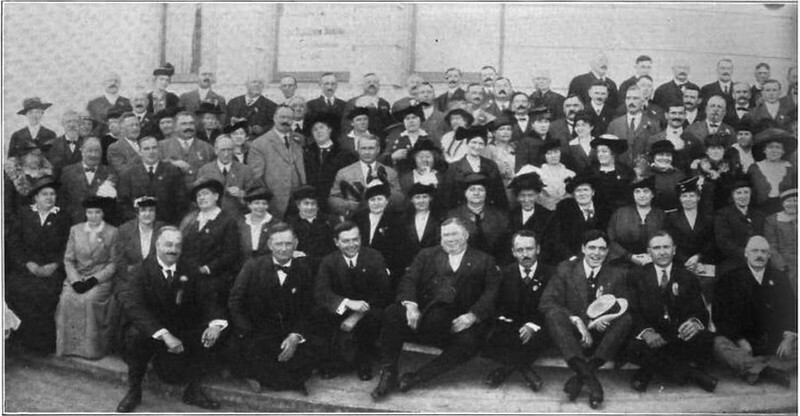 Notice that a lot of the men there are wearing the same distinctive hat. 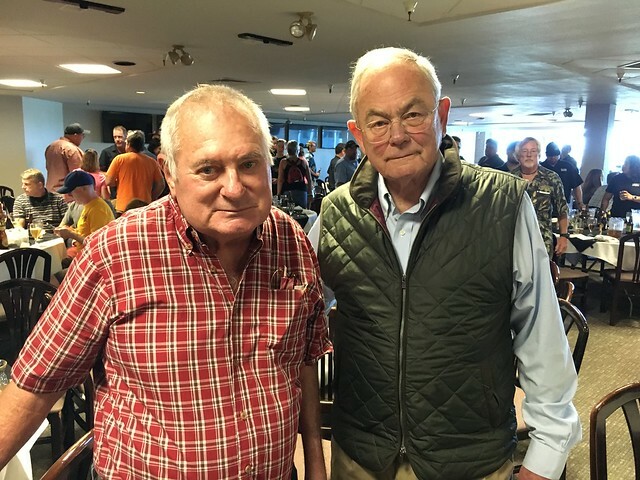 Was there an MBAA hat that members wore? 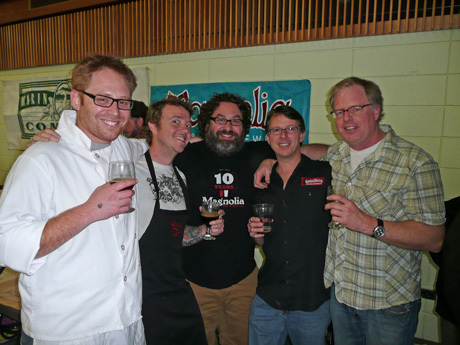 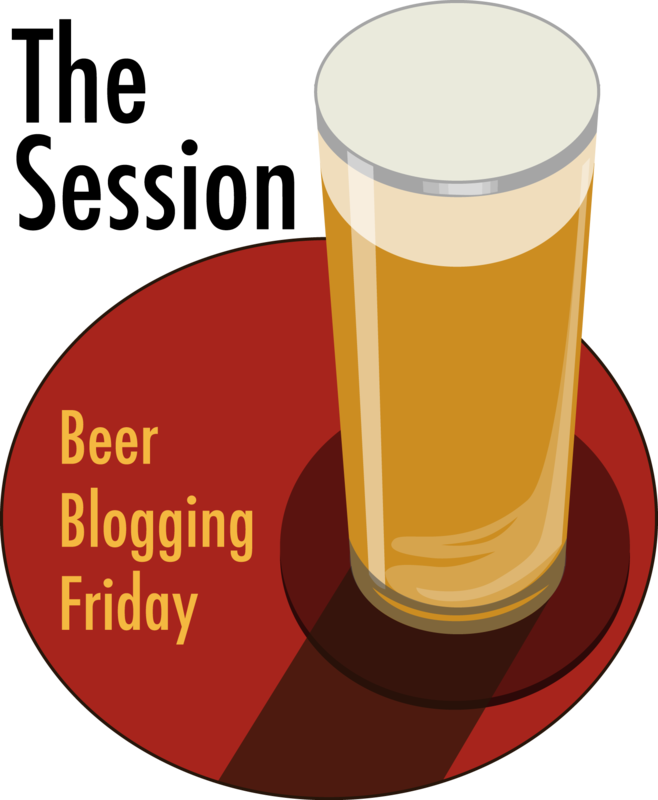 Today is the 41st birthday of Justin Crossley, the man behind the mic at The Brewing Network, one of the industry’s best voices. 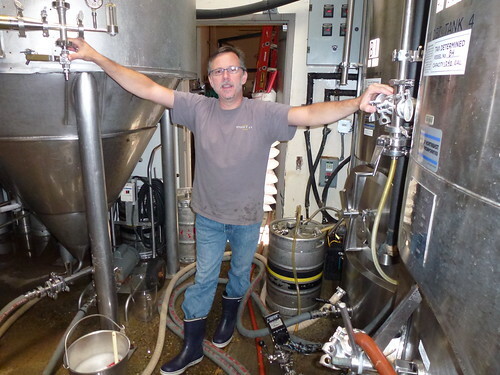 He’s an avid homebrewer and talker, a deadly combination, especially on radio. 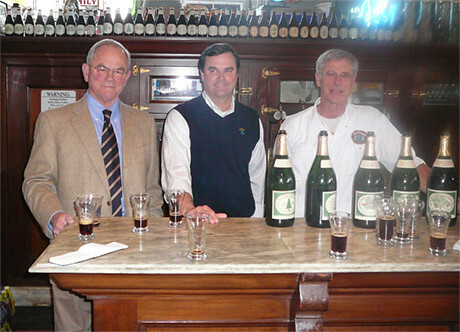 He also filmed Porter’s Porter Day a couple of years ago and it will fun to see the result of that project. Of course, he’s also opened the Hop Grenade, the next piece of the growing Brewing Network empire. 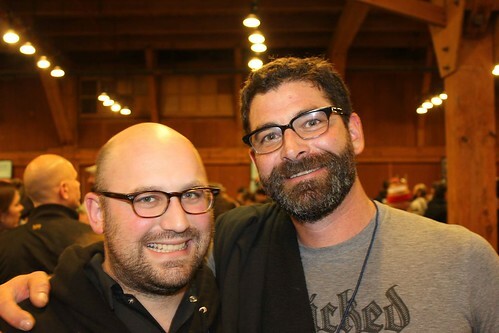 Join me in wishing Justin a very happy birthday. 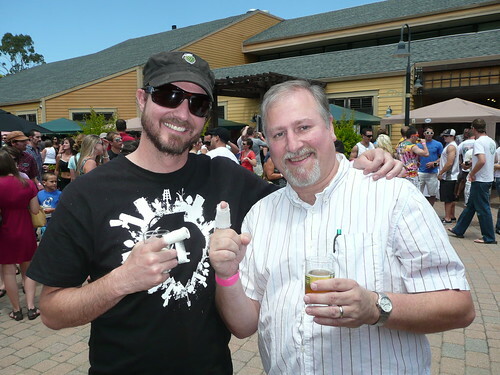 Justin and me showing off our injured fingers at the last Marin Breastfest held at Marin Brewing. 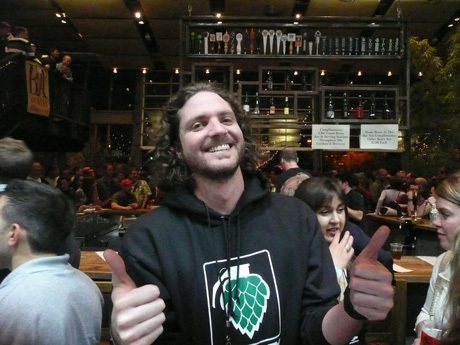 Justin all thumbs at Stone Brewing during the CBC Reception in 2008. 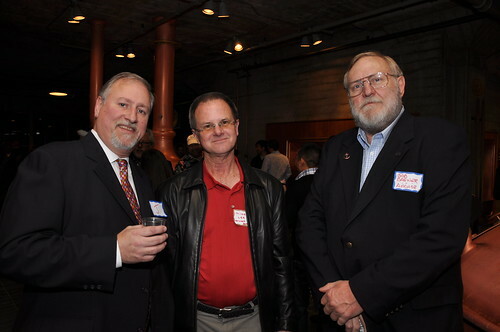 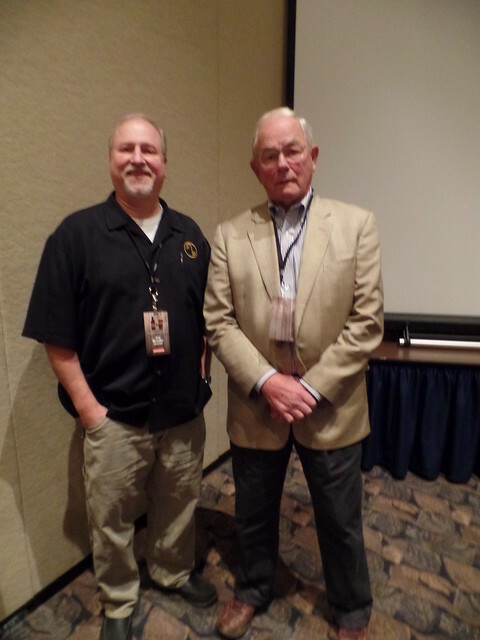 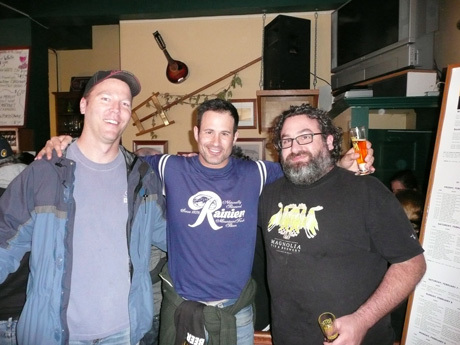 With Michael Ferguson, from BJ’s, at Oakland’s Linden Street Brewery during the AHA convention a couple of years ago. 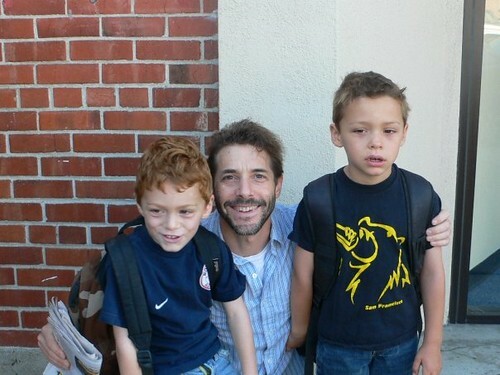 Okay, what’s with the thumbs? 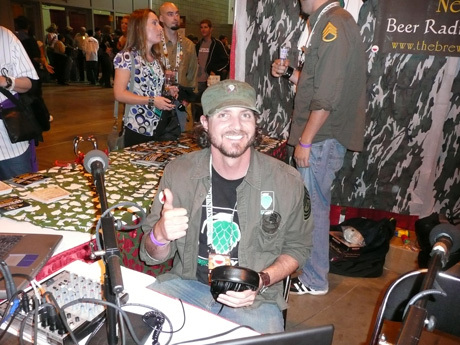 About to do a broadcast from GABF in 2007.